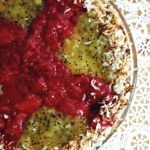 Baked over a thick buttery shortbread crust and topped with a sour cherry topping, this ricotta cheesecake will become your new favorite. By now you are probably wondering, WHAT ARE YOU DOING WITH ALL THESE DESSERTS??! Well, we ate them. ALL. …Ha! No, not even. Honestly, we froze them including this luscious cheesecake. That killed me- wrapping this beauty up and then storing her in a dark, cold ice box. Until Easter dear cheesecake! That’s right. All you Easter guests better come hungry and save room for dessert. Chances are, you will probably be going home with dessert too. Hey, if any of you wonderful blogger friends want to stop over and come help me cleanse the freezer of fudge, truffles, brownies and cheesecake, this is an open invite so hop on a bus, train, plane or what have you, and come celebrate! I kid you not, our freezer is packed. Now that we have that squared away, let me explain to you the story behind this cheesecake. Camilla of Culinary Adventures called upon several bloggers to help her celebrate her 15th Wedding Anniversary. 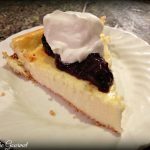 If you have been a long time reader of #LTG, then you know we LOVE our cheesecake, and while I have probably said this before about other cheesecakes I have made, I will say this one is by far the best. I wanted to deviate a bit from the expected, and so I opted for a thick shortbread crust as opposed to a graham cracker crust. The filling is a combo of ricotta and cream cheese with notes of citrus. To top it off, I made a sour cherry topping, which is not too sour at all, so don’t let the word ‘sour’ scare you. Congratulations to Camilla and Jake. Cheers to you both and here is to many happy, beautiful and blessed years to come! It has been such a pleasure celebrating with you. In a large bowl, whisk together flour, sugar and salt. Made a well in the center and add the egg, vanilla and fat. 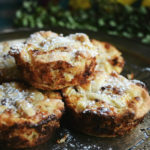 Using a pastry blender of your fingers, mix until a soft dough forms. Fit to the bottom of a springform pan. Blind bake for about 10 minutes. Remove and let cool slightly. In the same bowl you used to mix your shortbread crust, whisk together ricotta and cream cheese until smooth. Add in the eggs, one at a time, mixing well between each addition. Add sugar, cornstarch, baking powder, vanilla, orange zest and orange juice. Mix until all is incorporated. Pour over the prepared shortbread crust. Bake cheesecake in a water bath (be sure to wrap the pan with tinfoil before placing into water bath) for about 40 minutes, or until golden and slightly firm. Remove and let cool and set before refrigerating. Place sour cherries in a small saucepan with 2 tablespoons syrup over medium low heat. Whisk together sugar and cornstarch, then add to cherries. Stir until the mixture becomes thickened, about 5-7 minutes. Remove let cool to room temperature before topping the cheesecake. Best when served chilled. Enjoy! If you can believe it, I have NEVER had cheesecake before in my life!! 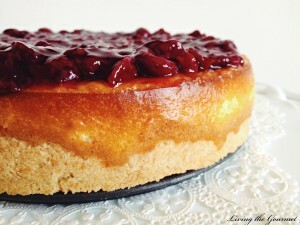 Your cheesecake looks amazing, I make a Lemon one with ricotta and can not wait to try yours too!! I bet I am going to love it!! This cheesecake is absolutely fantastic! What a wonderful combination of ingredients. Never tried a ricotta cheesecake so I am so excited by this! I LOVE cheesecake. I think I would especially love this one with that interesting shortbread crust and lovely sour cherry topping. 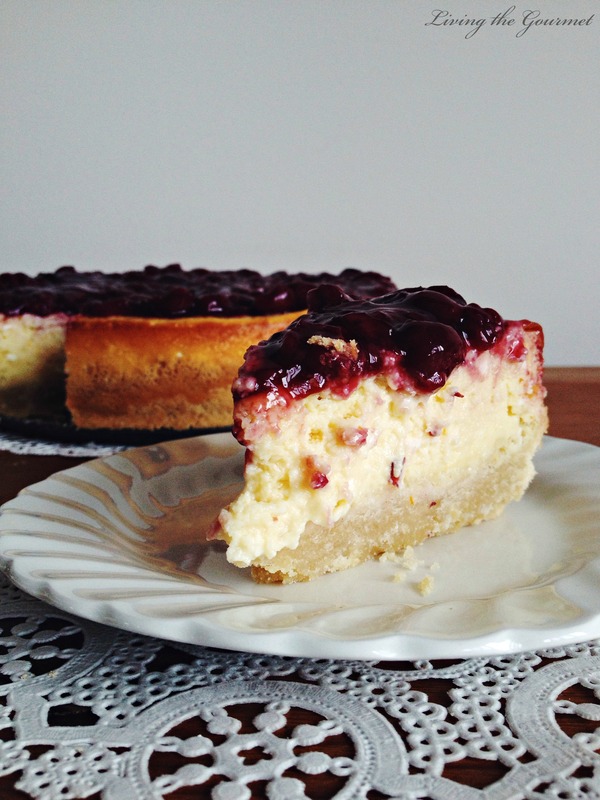 Ricotta cheese in a cheesecake is a must try for me. Thanks for the great inspiration! This is one lovely cake. And congrats to Camilla! oh this just looks divine- I've never had a cheesecake made with ricotta- I can imagine how well it pairs with the cherries! That looks incredible. Cheesecake has to be my favourite indulgent dessert. I am a shortbread junkie.....why did I never think to make a shortbread crust for cheesecake....Genius, just genius! That crust! I am so in love with that shortbread crust. The buttery depth it adds would be incredible! This would be very hard for me to put in the freezer without a bite for another two weeks. It looks divine. I would totally be the first to dig into this cake on Easter Sunday. 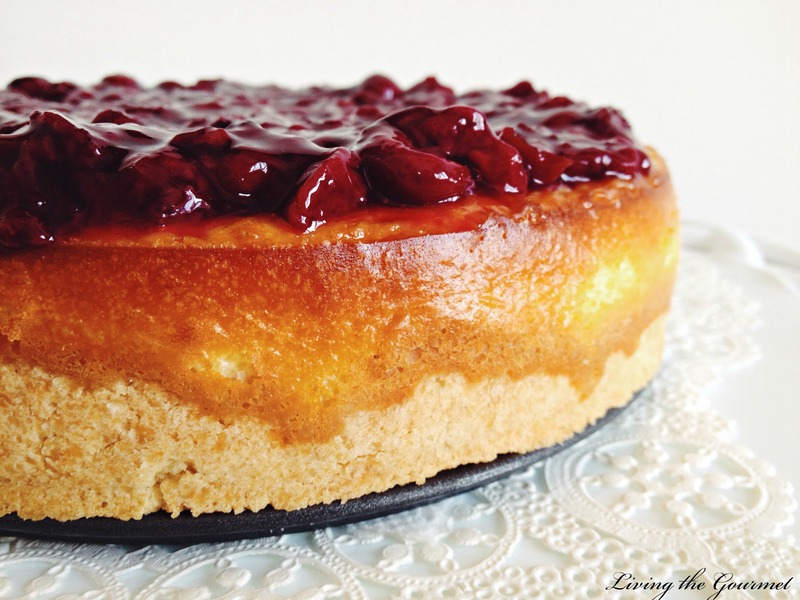 Cream cheese and Cherries are one of my fave classic combo! 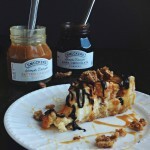 My hubby will completely love this cheesecake! Love everything about this dessert. The ricotta gives it great texture I am sure. This a very beautiful recipe which looks both refreshing and tasty! 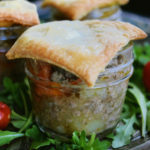 Another winning recipe I can't wait to try! Thank you! The crust sounds phenomenal! What a beautiful cheesecake! This looks like the best cheesecake EVER!! Amazing!! What a beautiful cheesecake Catherine! This looks super delicious!Pinning it! It is stunning. 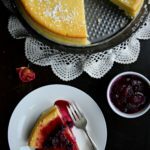 I would never have thought of making a cheesecake with ricotta! But I bet it is healthier than cream cheese. This looks divine! I've never had a ricotta cheesecake before, but I sure want to try! Yum! This looks so elegant and fancy. You'll have to let us know how the cheesecake held up to the freezer. I am in LOVE with this recipe. Thank you for helping me celebrate and for sharing such a delicious looking cheesecake. Yum! What a delicious contribution to the party! Yum! just so beautiful. and i love the sour cherry topping which really accents the cake! Ooh, I'm sold! The cheesecake looks just divine! Cherry cheesecake I know I adore, but I've never had one with a shortbread crust before. Definitely would like to give that one a go! You had me at sour cherry --- my all time favorite!! I love this !! Look awesome dearies, Just beautiful!!! I've never used ricotta in cheesecake before, but it sounds delicious and I cant wait to try it. Interested in finding out how it holds up in the freezer, I've never froze one before. Shortbread cookies? Best cookie ever! And with a delicious cheesecake? Oh man. Yes, please! Oh yum! Ricotta cheesecake! That sounds like a brilliant idea--perfect for Easter! 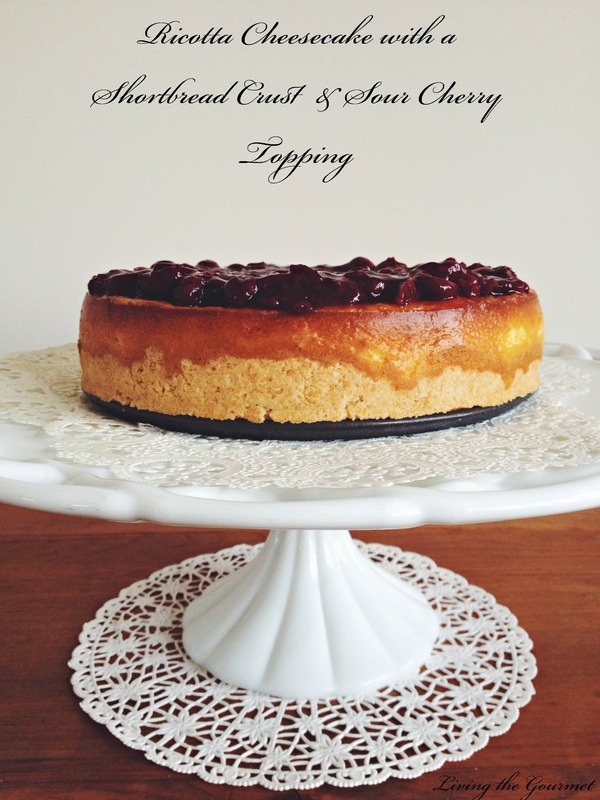 I love the idea of a shortbread crust - Yum ... that cheesecake sounds like some serious yum. I've never thought of freezing dessert before. Does it thaw well? Looks gorgeous! Especially sour cherry topping.. This cheesecake looks so beautiful!! That topping is just gorgeous - and I can only imagine how yummy that shortbread crust is! Shortbread anything is my favorite. I love cheesecakes with different crusts. 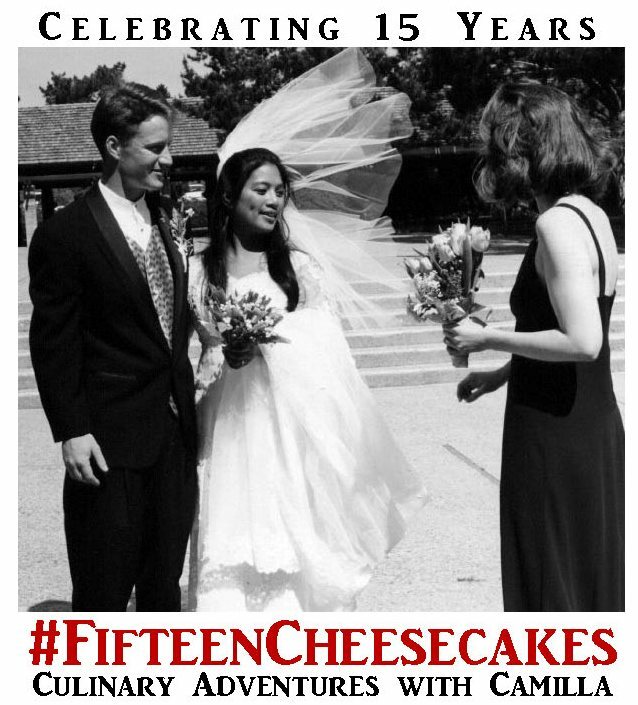 Fun baking with you in Fifteen Cheesecakes. Oh my gosh that looks heavenly. So glad I found your blog through the Bouquet of Talent Linky Party! Oh my god this sounds amazing! So glad I saw this on a link party. Yum! Oh my! This is simply gorgeous! Thank you for sharing at Snickerdoodle. Pinned! The texture of your cake looks absolutely perfect! WOW!!! This cake looks so good I am considering making it this weekend :) It is also one of my features at FoodieFRIDIY this week!!! Come on over and check out the other features!! Thanks for linking with us! Ohmygoodness. My kids may implode with delight when I make this. Never made a cheesecake before. I'd LOVE a slice of this beauty! Wow, Catherine! This is making me drool. Such a stunning photo! How absolutely delicious this looks!!! I love a good ricotta cheesecake. A real treat and I hope you enjoyed every single decadent bite. I love to see this sour cherry topping, I am working on something very similar to top some pancakes for an upcoming Mother's Day breakfast post. Delicious!!! 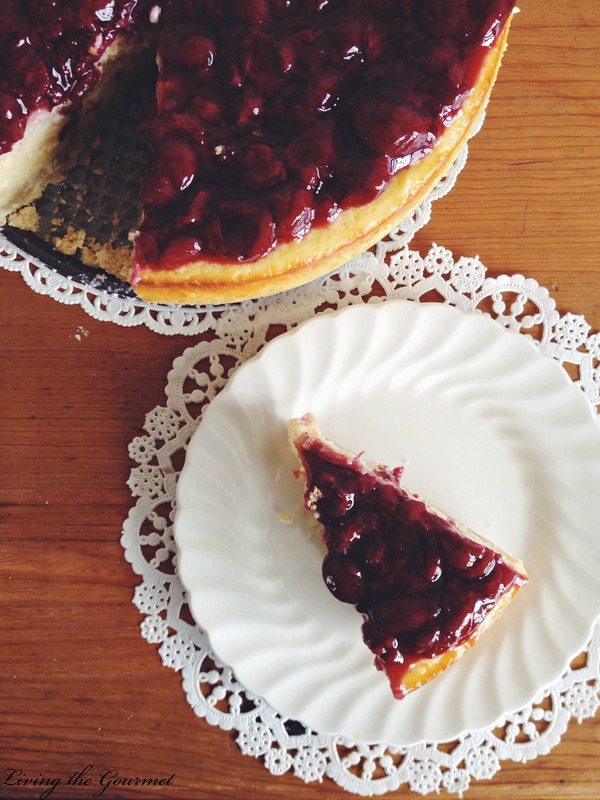 Sour cherry pie is my absolute favorite dessert in the world so I'm all about this cheesecake! I just made this cheesecake, but used a different crust recipe, and left out the orange. The taste was still delicious and the texture was amazing. What size spring form pan does this recipe call for? Hi Wren, Thank you so much for visiting Living the Gourmet. I used a 9-inch springform pan for this recipe. Enjoy! Where in the directions does it mention the eggs? I just realized it’s in the ingredients list but not directions. I made one without them and it didn’t turn out so I’m trying again and just realized there’s supposed to be eggs in it. Dear Kristen, Thank you so much for reaching out! I've just edited the recipe card. You definitely need eggs for your cheesecake, mix them in after you've beaten the cream cheese and ricotta. Please let me know if you have any other questions. Enjoy!